Over the years, we developed a long on-going relationship with the homeowners through several projects. 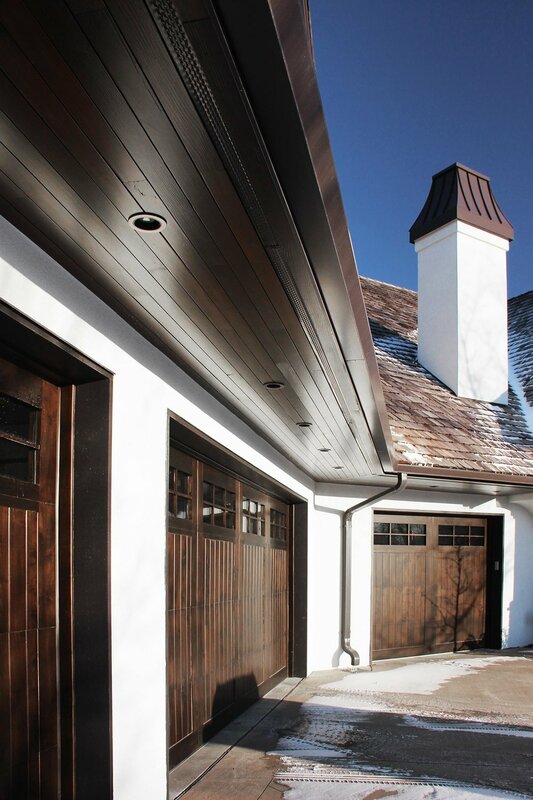 We re-textured the exterior of the house to a lighter stucco paired with espresso colored accents and openings for contrast and definition on the facade. 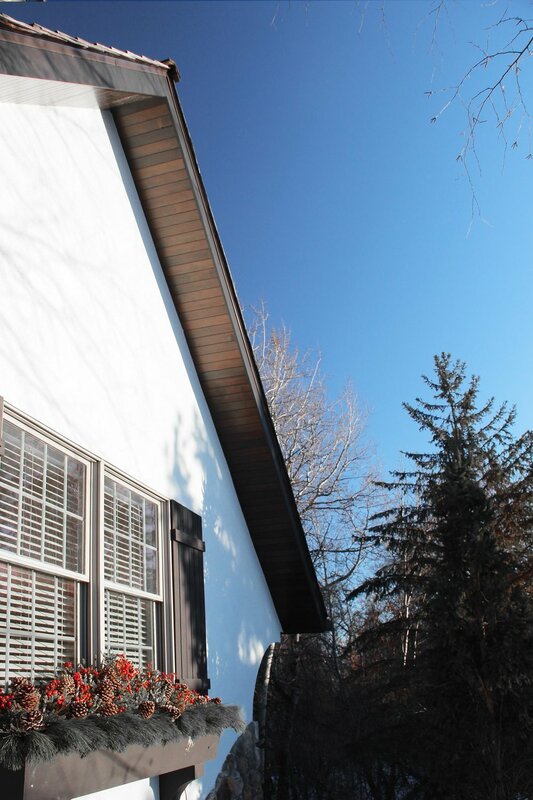 The soffits were re-installed to complement the new color ensemble. The main entrance consists of a custom double door with crescent shaped glass to admit light while allowing privacy on the interior. We also replaced the existing deck with one that better complements the house. The clients did not want the interior rooms to look out onto the bottom of rough framing of the old deck so we designed a new deck to match the style of rest of the house with a beautiful wood 'ceiling' underneath to better frame the view.